On Friday I travelled with the paralegals from CHREAA, to Chikwawa prison in Southern Malawi, to commend the hard work of all those involved in the Disease Screening and Control Project. 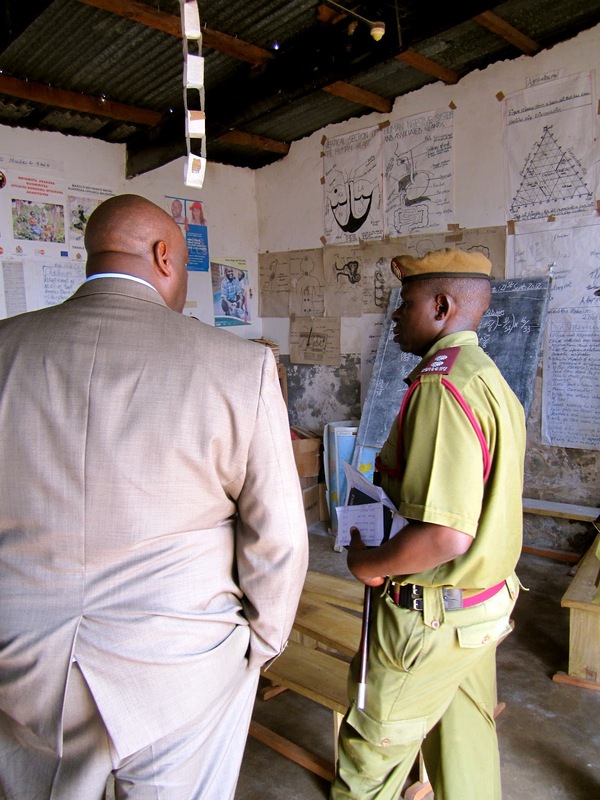 The British FCO funded project, aims to reduce the rate of occurrence of infectious diseases in four prisons in Malawi, through screening prisoners on admission and administering medical treatment. Over the past year, CHREAA and the prison service have reported a reduction of 20% in the likelihood of catching an infectious disease whilst in detention. However, after CHREAA’s analysis of reports submitted by the prison service, they recognised that medical officers could not complete the screening process on numerous occasions due to the lack of proper medical equipment, training and medication. As a result, the British High Commission maintained their commitment to promoting the right to health care for prisoners across Malawi by awarding additional funding to allow the project to progress with adequate medical supplies and training. To demonstrate their gratitude for the Commission’s involvement and financial support of the project, the prison service and CHREAA invited the Deputy British High Commissioner to visit Chikwawa prison and observe how the project has been implemented. The visit began with a tour of the prison, which included the education department, the small hospital ward and watching several of the convicted prisoners make nsima, the maize based staple food in Malawi, for the rest of the prison. On entering the prison courtyard, the 400 inmates, consisting of 396 men, 4 women and one child, had been gathered ready for the morning of speeches and celebration ahead. After the speeches, by the Deputy British High Commissioner, the head of the prison service and Victor Mhango, the Executive Director of CHREAA, the inmates were invited to present their talents. First, we heard from the very talented prison choir, followed by two prisoners who performed a drama sketch about the dangers and misconceptions surrounding HIV. However, my favourite part of the day took place after the Commissioner had left, when the paralegals played some Malawian pop music for the prisoners and we all sang and danced around the prison courtyard. As you can imagine, my dancing and singing was not quite up to the Malawian standard. After the tour, I discussed with the Deputy Commissioner, his impression of Chikwawa prison. We were both surprised at the seemingly good conditions in Chikwawa, in comparison to the larger prisons in Blantyre and Zomba, in particular the education department, the professional attitude of the medical officer and the amount of prisoners per cell. I suggested that this was because of the low number of prisoners in pre-trial detention in Chikwawa; there are only 78 remandees awaiting trial compared to 700 in Chichiri. The FCO is already trying to tackle this problem through the CCPS death penalty project I am working with the legal aid department and law students at Chancellor College and Blantyre International University and I am hopeful they will continue to do so as the relationship between the UK and Malawi develops.